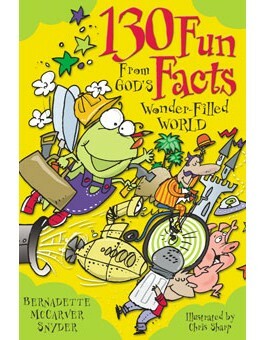 "130 Fun Facts From God's Wonder-Filled World" is a fascinating foray into facts and tidbits about saints, symbols, human animals, and animal animals, plus inorganic goodies like rocks, coal, sand, water, and computers. Whimsical illustrations will delight readers from 8 to 80. 143 pp.